Normally you need to wait until the World Cup starts to experience momentary lapses into insanity. Not so if you watched the 2014 FIFA World Cup opening ceremony. What did we just watch there? Normally you need to wait until the World Cup starts to experience momentary lapses into insanity. Not so if you watched the 2014 FIFA World Cup opening ceremony. Here is a breakdown of the proceedings, which took place nearly an hour before the tournament opener between Brazil and Croatia. 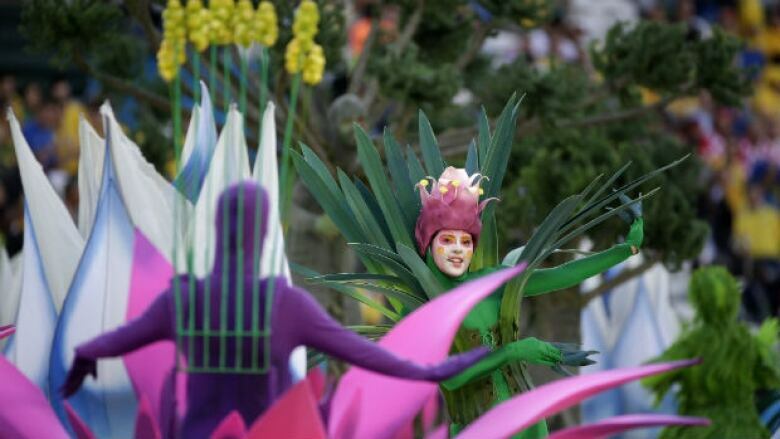 If you missed the first part of the opening ceremony, you can re-create the experience by visiting the produce section of your local supermarket. A colourful cornucopia of costumes greeted the crowd to open up the proceedings, and it wasn’t long before we noticed that nearly every single outfit looked like a giant fruit or vegetable. The entire ceremony was presided over by a giant LED ball in the centre of the pitch. One of the missions of the opening ceremony seemed to be appeasing the Great Ball to ensure that the world didn’t suffer its bouncy wrath. 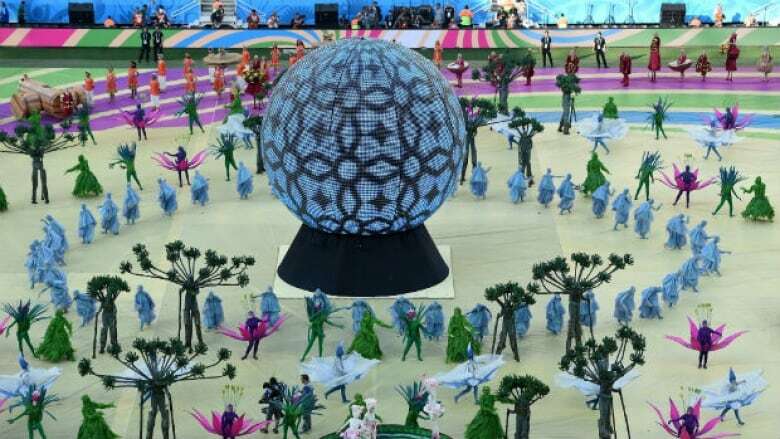 So many of the costumes in the middle section of the ceremony were themed around soccer balls. The Great Ball seemed pleased with this, expressing its happiness by flashing bright images and colours during the proceedings. It may have also been signalling its minions to begin the world takeover (I, for one, welcome our new round overlords). But then, the ball opened, and everything changed forever. The ball was Pitbull all along. He was there to bring forth the joy of his well-receivedWorld Cup theme song “We Are One,” with co-artists Jennifer Lopez and Claudia Leitte (whose verse still lasted all of 14 seconds). Lopez caused a stir when reports surfaced that she was pulling out of the ceremony, which she denied. There seemed to be a malfunction in the lift in the centre of the giant LED ball (was that a sentence you expected to read today?). J-Lo handled this hiccup well by nearly falling on her face in front of the entire world. The party ended when Pitbull left.